Cucumber Roll-Ups from Eatviews — all the best parts of a sandwich or wrap, without the bread! And more Greek yogurt-y goodness. 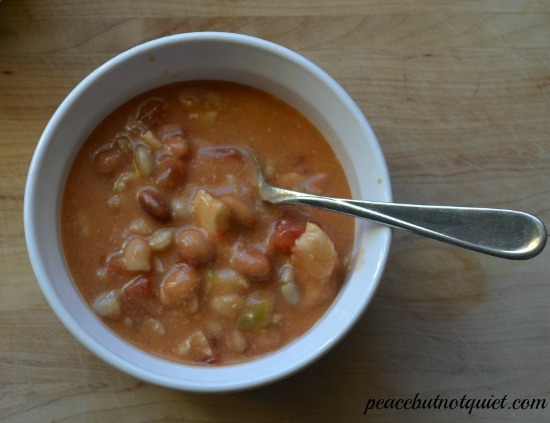 White Chicken Chili from Peace but Not Quiet — I love a good chili for a football game. You can make it up and leave it in the slow cooker on low and people can just help themselves whenever. And if you go easy on the sour cream and cheese for toppings, and heavier on the onions and chives, you cut down on a lot of calories. Pizza Zucchinis from Sweet C’s Designs — again, the best parts of a pizza (cheese! sauce!) but with veggies replacing the crust. Baked Sweet Potato Chips from Wishful Chef — if you’re gonna snack on potato chips, have some with goodies like Vitamin A. And that are baked. Turkey Wraps from Organize Yourself Skinny — with turkey, avocado, and hummus. Yum! Cauliflower Fritters from Allrecipes — I need to start doing more with cauliflower, man. So versatile. And I’m always a fritter fan. Vegetable Chips from Organic Gardening — to go with the Greek Yogurt Ranch Dip, naturally. The most labor-intensive part of this just slicing the vegetables…once you’ve gotten that out of the way, you’re good. Baked Carrot Fries from Healy Eats Real — again, I’d try these with the Greek Yogurt Ranch Dip. Quinoa Pizza Bites from Fit Success — I’m not much on sweet quinoa, like when it replaces oatmeal and stuff for breakfast. But in tacos or pizza? Right on. Buffalo Cauliflower Bites from Gal On A Mission — same spicy kick as buffalo wings, just with cauliflower (that magic veggie!) again. And you can serve them with celery and carrots for a few extra vegetables. Skinny Taco Dip from Skinny Taste — delicious taco dip, less fat and calories. Win! Fruit Salsa from Spend With Pennies — delicious fruit salsa with cinnamon crisps. A great twist on the usual football favorite. Honey Banana Bites from Rachel Schulz — Bananas drizzled with honey and baked up for a few minutes. Apple Cookies from Paleo Eats and Treats — these aren’t really cookies. They don’t require any baking. They’re nut-buttery, chocolate-chippy, walnutty goodness served up on raw apple rounds. 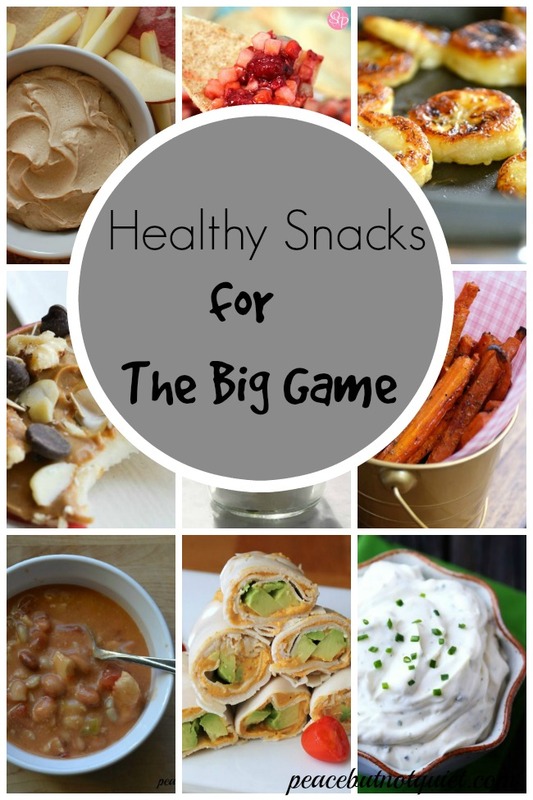 Easy to serve and eat while watching the game. Peanut Butter Greek Yogurt Dip from Food Fun Life — more of that Greek yogurt, this time sweet instead of savory. 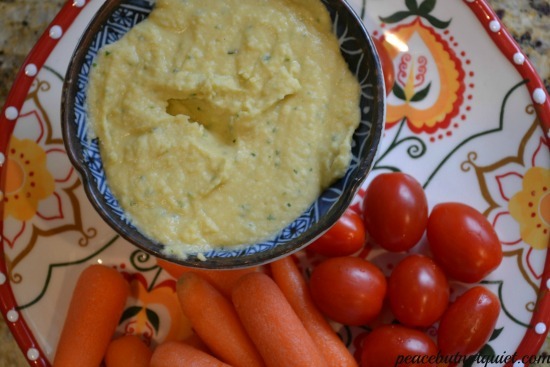 Try the dip with fruit or the cinnamon crisps from the fruit salsa recipe. Peanut Butter Oatmeal Bites — from The Sweet Tooth Life Sweetened peanut butter and oatmeal, served up in little bites. Chocolate Coconut Bars from The Nourished Caveman — these look and sound like Mounds bars…except better for you. Be still my heart. Now. Don’t let all this health-talk deceive you. I plan to have a mix of these, and some good ol’ junk food, too. The point is to cut out the bad stuff where you don’t notice it, so you can add it back in where it really counts, yes? Thank you so much for including my peanut butter bites!